The need for Evangelization, both to those who are no longer in ourpews as well as those who have never been welcomes into the faith, is evident and fundamental to our mission as the Catholic Church. Pope Francis, in his encyclical “The Joy of the Gospel,” writes “Christians have the duty to proclaim the Gospel without excluding anyone.Instead of seeming to impose new obligations, they should appear as people who wish to share their joy, who point to a horizon of beauty and who invite others to a delicious banquet." 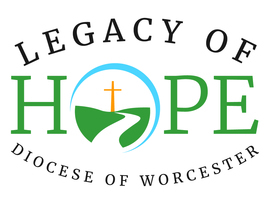 Some of our parishes may find it difficult to allocate funds to begin an effective evangelization effort.The Legacy of Hope campaign will establish a $1.5 million Endowment to encourage specific evangelization efforts both locally in our parishes and diocesan-wide initiatives. Based on the earnings from this new fund, parishes will then be able to apply and receive grants that they can use to help effectively communicate the message of the Gospel locally.